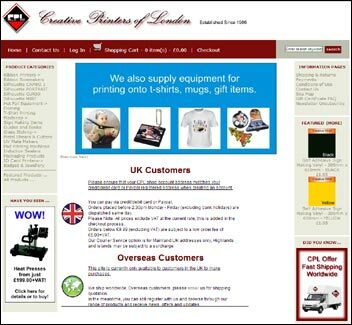 You don't need to be a website designer to maintain your online shop. Our service includes training which can be taken in several sessions so that as your knowledge builds you can refine your sales and presentation techniques. 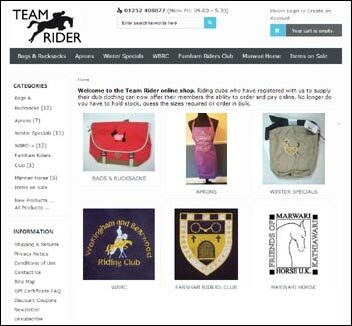 Our online shop websites will hold an unlimited number of products and typically use far bigger photographs than most shops to show your products to their best advantage. Products are typically sorted into product categories and sub-categories to simplify the shopping process and we do all of this for you. Everyone wants to take credit cards through a secure payment portal so we set this up for you. Payment options include cheque by post and COD. All the dialogue is in the queen's English by the way - no 'pay by check' or 'forgot your password?' here. Product control through categories and sub-categories. 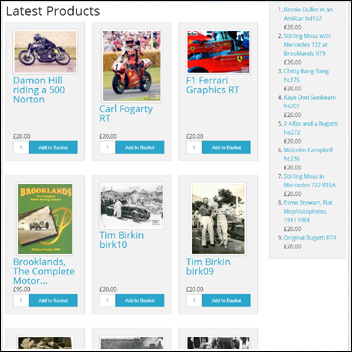 Category and product listings with big photographs. Product attributes - colour, size etc. Variable pricing by size, weight, unit etc. Virtual product sales e.g. photographs, music and software. Featured Products, new products and special offers. Gift Vouchers and discount vouchers. Pages for Help, Trading terms, site map, links etc. VAT and VAT free transactions. Weight-related and regional carriage and postal charges. Immediate printout of packing notes and invoices. Products viewed and sold statistics. Back end Administration and visitor monitoring.